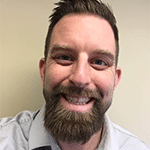 John Horn leads organizational learning & development at Vancity Credit Union and has been involved with CERIC for over a decade as a committee and board member. At Vancity, John leads initiatives that align co-operative learning, coaching, career development and Vancity’s business model of member-led innovation with the credit union’s vision of redefining wealth. As co-founder of The Potentiality, he writes and speaks about how career development enhances community well-being. John has chaired CERIC’s Marketing, Communications & Web Services and Research Committees and is a veteran presenter at the Cannexus conference. He volunteers for Vancouver’s Writers’ Exchange and loves exploring neighbourhoods via bicycle. John holds bachelor’s and master’s degrees in history and is passionate about helping people tell their story.